Population growth around the globe continues to increase the demand for food — and thus for more effective and efficient farming methods. Agriculture has always looked to technology for the efficiencies that will keep it profitable. This is good news for those in the agricultural equipment industry. Of course, there are many influencers on agriculture, from weather and disease to subsidies and regulations. Farmers in emerging markets are stepping up their demand for technologically sophisticated equipment and the agricultural equipment industry is responding. To support a growing world, agricultural equipment is becoming “smarter,” driving the need for our proprietary products. Our application engineers are recognized for excellence in this market, and in many cases we are the first contact that our customers make for new applications. Our sensors enhance safety and efficiency on tractors, combines, seed drills, balers, milking machines, and fertilizer spreaders from a number of well-known manufacturers. 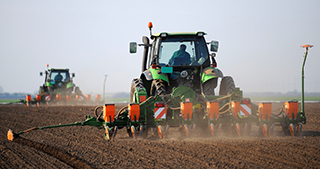 In row planters, for instance, our transducers measure force to keep from over- or under-compacting the soil. 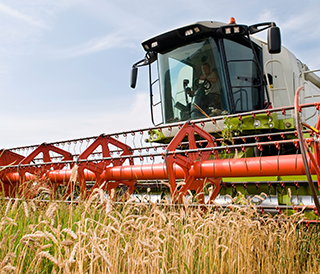 Our products for agricultural machinery are designed and manufactured to perform in the harshest of environments — delivering exceptional reliability and longevity to help improve the overall quality of OEM equipment.